What a blessing to get to meet the people of Matthews Church on Sunday! Probably my strongest impression of the services is that God’s people are so much alike no matter where we live or whatever language we speak. I am always drawn to worship music and so appreciated the worship at Matthews Church. Worship Pastor Maris Dravnieks leads several choirs of varying sizes that contribute to the Sunday assemblies. I recognized every song used in the assemblies except one. One of the joys of music is that singing a language makes it much more accessible. Because I knew the songs and because the words were projected to screens like at home, I could sing with the congregation in the Latvian language and still know in my heart and head what I was singing! It was wonderful! The mix of instruments included keyboard, guitar, drums and pipe organ. I loved it! Steve and I were called up front and introduced to the congregation and Peter interviewed Steve, much like what happened when Peter and Baiba were at Suburban. The highlight of the day for me was getting to listen to Steve and Peter preach the word together – one in English and one in Lativian. Peter is an excellent translator and the experience of hearing the sermon appeared to be seamless. Hearing the Word of God proclaimed in two languages at once just felt like a little touch of heaven where every tongue, every tribe, and every nation will stand before the Lord in worship! You can hear Peter and Steve together in the 30 second Youtube video linked below. Another highlight of the Matthews Church service had to do with the children. Most of the children attend the second service with their families. At both services Children’s Minister, Liene Indrane shared a Children’s Story. At second service at the end of that story all of the children came to the steps of the church and Peter prayed over them, reminded them to be polite as they left the auditorium, and then released them to the Children’s services. I loved seeing all of those young ones — once again, a child is a child in any language! We enjoyed a “Nearly Normals” style buffet lunch (Steve’s description) with some of the staff from Matthews Church and then back to the apartment for a couple of hours before evening services. On Sunday evenings Matthews Church is taken over by young people! The services are attended by twenty and thirty somethings. The worship team was a couple of young men and a young woman, the ‘moderator’ was a young man and the preacher was Matthews Church staff person Andis Miezitis – Matthews Church equivalent of our Jamey. Once again Steve and I were introduced and interviewed. Then as Andis taught, Peter leaned in to us and translated so we could also enter in. Andis is a good teacher and once again I enjoyed the full experience. As we began evening services at Matthews Church we were acutely aware of services beginning at Suburban! Separated by many miles and half a day we enjoyed the reality that together we worshiped our Lord! Blessings on our brothers and sisters in Corvallis! 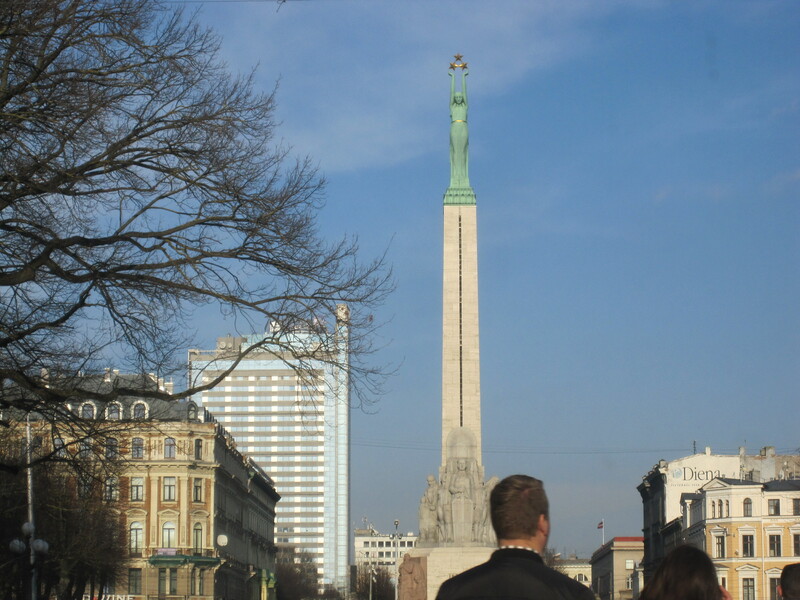 Praise the Lord for His global body – in Corvallis, in Riga and beyond!